The Salesians of Don Bosco are a worldwide organization founded by St. John Bosco. They are the third-largest Catholic religious order in the world! Don Bosco gathered a number of priests and lay people together to found a religious congregation in the Catholic Church. He called this congregation the Salesian Society. he names it after St. Francis DeSales, who was known for his gentle manner, a trait which Don Bosco wanted his Salesians to acquire. He also chose Mary, Help of Christians, as the patroness of the Salesian Society. Since that time, a large spiritual family has grown out of Don Bosco's experience. Numerous groups look to him as a spiritual father as they try to spread the Gospel throughout the world. The Salesian Society represents the group which Don Bosco personally established to launch new approaches in new initiatives for the education of youth. But there are now many groups in the Salesian Familty that have a wide influence in the world: the Daughters of Mary Help of Christians (the Salesian Sisters), Salesian Cooperators, Past Pupils of Don Bosco (Don Bosco Alumni), and Don Bosco Volunteers. These groups, as well as a number of others, work on behalf of young people in every corner of the world. All the groups within Don Bosco's spiritual family share his educations methos, popularly called "the preventive system." Is is not a system al all, but a lifestyle, an educational approach, a pastoral method, and a spiritual heritage. Significantly, Don Bosco's example and educational methods have inspired a Gospel lifestyle which leads to holiness in life, as witnessed in the lives of saints who have embraced Don Bosco's experience and made it their own. 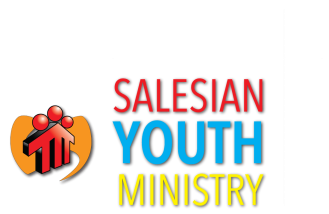 The Salesians can be found worldwide in many different initiatives on behalf of young people: schools, oratories, youth centers, technical and professional training centers, parishes, foreign missions, and activities in the realm of mass media and social communications. When St. John Bosco founded the Salesians in 1859, his mission was clear and simple: to be a friend -a friend to kids who were poor, kids who had been abandoned, kids who were at risk - and, in so doing, to be a friend to Christ. Today, this Catholic religious organization continues doing the work of the Lord in the spirit of its founder - with over 40,000 Salesian priests, brothers, sisters, and lay people working in more than 130 countries all over the world. Whether in Canada, the United States, South America, or the rest of the world, the goal of the Salesians is the same: to give kids in need a chance at a full life! Don Bosco (Italian for "Father" Bosco) left a legacy of love that is as strong today as it was over 1000 years ago when he said, "It is enough that you are young for me to love you!"